Ah. An easy month for the first time in a long stretch at the Dan Patrick School of Sportscasting. Planning to tape my next show and then…my phone buzzes. There it is. Bleacher Report: Egos Killed the Packers. What is this about? 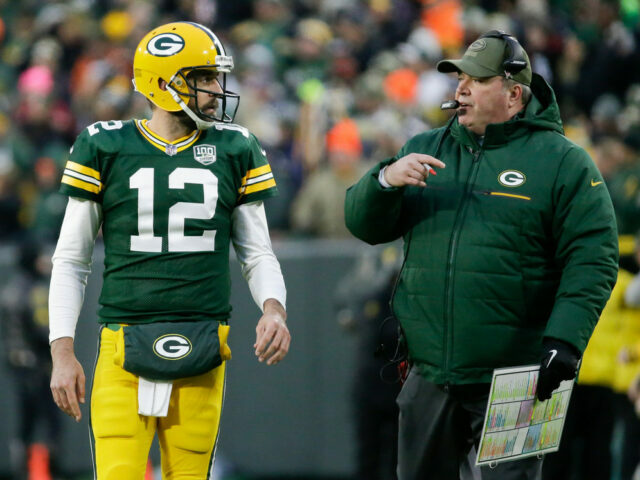 Tyler Dunne wrote a great piece on the Packers involving former head coach Mike McCarthy and quarterback Aaron Rodgers. Oh, this was juicy. I read every single line of this and all that came to mind was…this is nothing new to quarterback/coach relationships. It is why change had to happen at 1265 Lombardi Avenue. There is always a terrific article similar to what Dunne wrote that involves turmoil in a team’s locker room. Go all the way back to 1974. Steelers had a quarterback carousel going with long ball thrower Joe Gilliam and future Hall of Fame quarterback Terry Bradshaw. Everyone forgets that Bradshaw was benched multiple times in that season for Gilliam. There was frustration within the fan base and the team. Head coach Chuck Noll went with Bradshaw and won four Super Bowls later. 1987. When the late Bill Walsh brought in Buccaneers (and BYU standout) quarterback Steve Young in to battle Joe Montana for the number one spot for the 49ers. According to Michael Lombardi’s novel Gridiron Genius, Walsh went against the front office to trade for Young while Montana was recovering from back surgery. He was ripped apart by the media for creating a quarterback controversy and drove the fanbase wild. 2005. Donovan McNabb/Andy Reid vs Terrell Owens and the story that never ends. Eagles fans, writers, the whole city was flabbergasted by what was happening to their defending NFC Champions were doing to one another. We know the story that McNabb and Owens refused to talk to each other. Owens heads out to his driveway and does situps and Reid suspends him. Then finally after enough running over McNabb, Reid sends Owens packing. And of course, ESPN’s Seth Wickersham wrote on how Patriots’ dynasty quarterback Tom Brady and head coach Bill Belichick do not get along but oh, look they keep winning Super Bowls. Six to be exact. I know everyone wants to yell out “Fake News,” how dare someone writes something this bombastic on the god that is Rodgers. As humans, we are flawed. So are Rodgers and McCarthy, I am not surprised that this came out. When you cannot get back to the Super Bowl, when there is plays being called at the huddle like sandlot football and a front office that kept dismantling the 2010 team. It was inevitable that something like this would come out. One more thing, I love it when fans are calling out Dunne for his unnamed sources. In journalism, this is a golden rule. Not all of your “prized” sources want to be quoted and ask to be anonymous. It does not mean they are fabricating quotes or takes. I’ll let Michelle Bruton of OZY finish my point. Seriously? If you have not read or do not like what Dunne writes. You try the “unnamed sources” excuse. Like in the NFL, history does repeat itself and that goes for journalism ethics as well. In the meantime, April 25th is the NFL Draft. 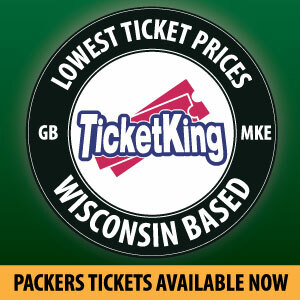 Until next week, Packer fans. This entry was posted in Contributors, Jake Turner and tagged Aaron Rodgers, drama, Green Bay Packers, mike mccarthy, opinion, Packers offseason, Packers Talk, turmoil. Bookmark the permalink.